The triumph of Trump and the ongoing popularity of far right parties across the world have brought forth questions around the role of free press, the rule of law, and notions of truth in contemporary societies. 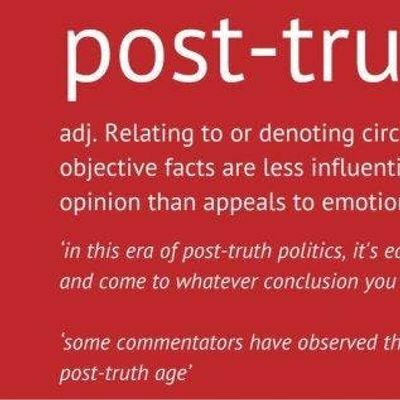 Reflecting these developments, in 2016 the Oxford Dictionary recognized “post-truth,” as the word of the year. 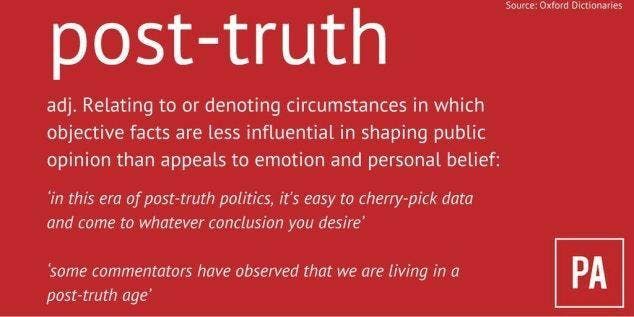 Pointing to an emergent political landscape where “objective facts are less influential in shaping public opinion than appeals to emotion and personal belief” (Oxford Dictionary, 2016), the March 2017 cover of Time Magazine equally asked: Is Truth Dead? The implications of these developments for knowledge production, relations of power, and education are profound. On March 20th the Werklund School of Education’s Curriculum and Learning specialization will be hosting an interactive conversation from 4:30-6:30pm. The evening will feature an opening set of provocations from four leading scholars in the field: Kent den Heyer from University of Alberta, Vicki Bouvier and Jim Field from the Werklund School of Education and Maria Bakardjieva from the Faculty of Arts at the University of Calgary. This will be followed by an interactive dialogue that will give audience members an opportunity to explore these themes more deeply. Please RSVP through Eventbrite.